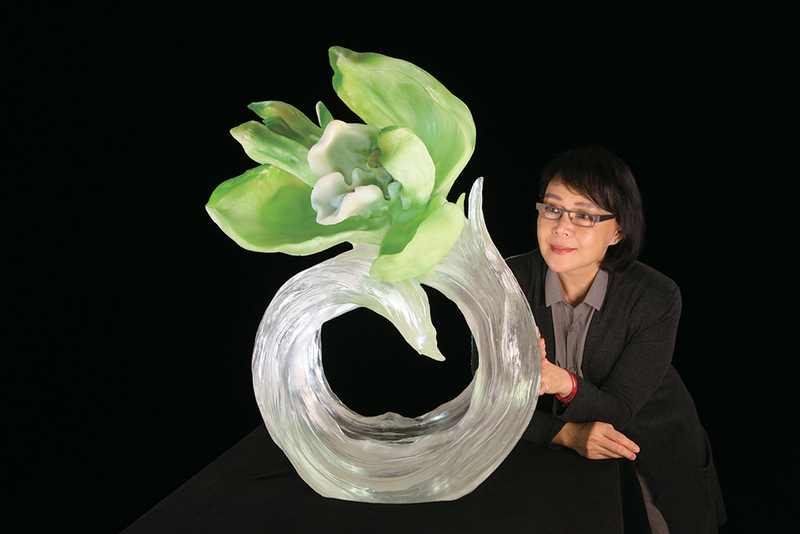 Set your dates to see the Chinese Liuli Flower series by Loretta Yang November 5th – 8th at Navy Pier Chicago! Each and every flower is an inquiry into life. A Moment of bloom, enduring beauty. Rumblings of a persistent flourishing. Such is the flower, Such is life. A Chinese LIULI Flower breaks through the confines of sculpture and color. A large flower blossoms in brilliance, proposing a statement on the life condition; the folds and undulation of the stems and leaves illustrates the laws of nature. 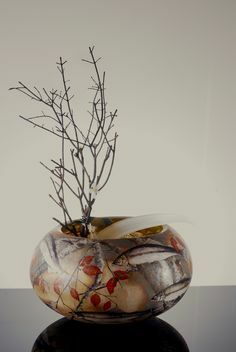 Layers of colors produced through the Color Placement technique generate naturalistic and colorful blooms as the re-firing technique used for the flower, stem and leaves pay homage to the return to nature. 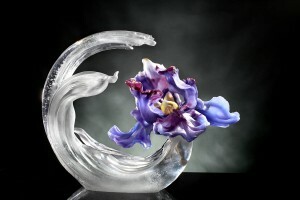 The flowers created by Yang explore the mysteries of life through LIULI. As in classic Chinese literature, Imminent Spring Dance compares a virtuous person with an orchid and sings praises of its exalted elegance. 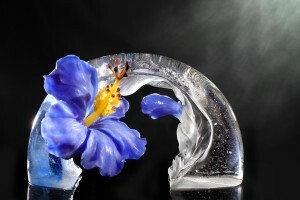 The flower is presented in a graceful coil, comprehensive yet not exposed, unfolding at leisure. Lustrous like a new leaf, it sweeps across the petals. Singular Elegance shows a camellia after the bitter winter, in bloom, in still indifference as its broad leaves envelop the flower and pistils. 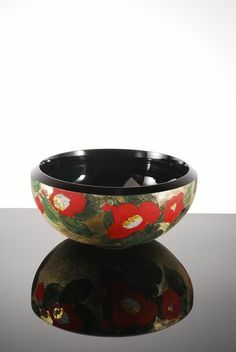 The design’s unpolished lower base is made to resemble the surface of a mountain, highlighting the camellia’s resilient will and drawing attention to the flower’s internal characteristics and its environment. In doing this, the artist introduces a unique take on the camellia’s proudly blossoming independence and willpower. The design Sunny Day showcases the exuberant passion of the parrot tulip in fiery resplendence. 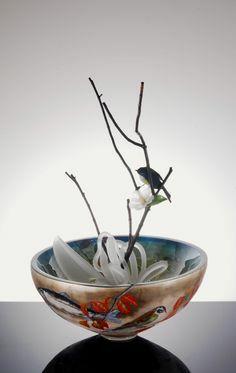 The flower in bloom is like an elegant dancer in graceful undulation; the branches and leaves are imagined in an abstract sphere. The raised stroke is like the dancer’s twirling dress as the flower blooms in salutation. 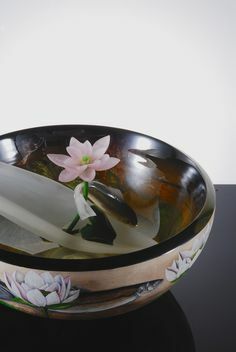 The re-firing technique creates a lifelike flower while the Color Placement technique creates a lushness in the petals. 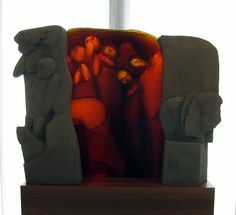 To express the ideology behind the laws of nature, the artist conjured the passion of the parrot tulip. Song of the Morning Flower takes inspiration from the hibiscus syriacus and is shaped like a small trumpet as if heralding life through a morning song. In bold bloom high or low, far or wide, in sun or shade, this flower is the manifestation of a survivor. 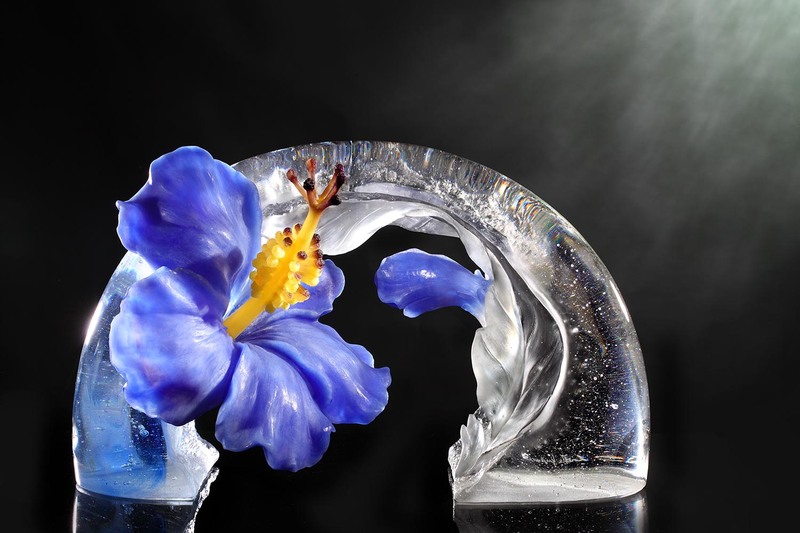 Arising through Contentment takes flight in the form of the illuminated iris. 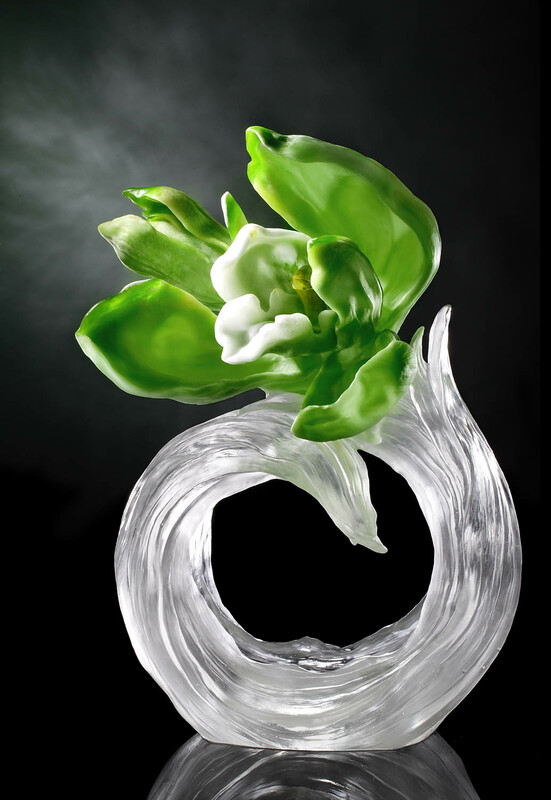 With leaves like daggers and flowers like butterflies, the design enlarges the texture of these elements to accentuate the vast tension between the two. Its leaves move like the surging tide, its flowers stand proudly upon the branch; a contrast between soft and severe, a harmonious dichotomy. The quietude and pose projected by the bluish-purple hibiscus conveys a gentle strength as it reveals layers of dazzling color. Loretta H. Yang uses the Color Placement technique in A Chinese LIULI Flower to present her most passionate source of inspiration – the flower. Through failed attempts, through night and then through day, through the heat of blazing kilns, there were no answers, there was no praise. 60 days of work would often result in failure and necessitate starting over. But throughout a quarter century, it is that creative persistency that has remained unchanged. LIULIGONGFANG carries the cultural pride and passion of the Chinese people deep within our hearts. On the anniversary of our 25th year, we present to you: A Chinese LIULI Flower.